Discussion in 'Forza Motorsport 7' started by GTPNewsWire, Mar 5, 2018. 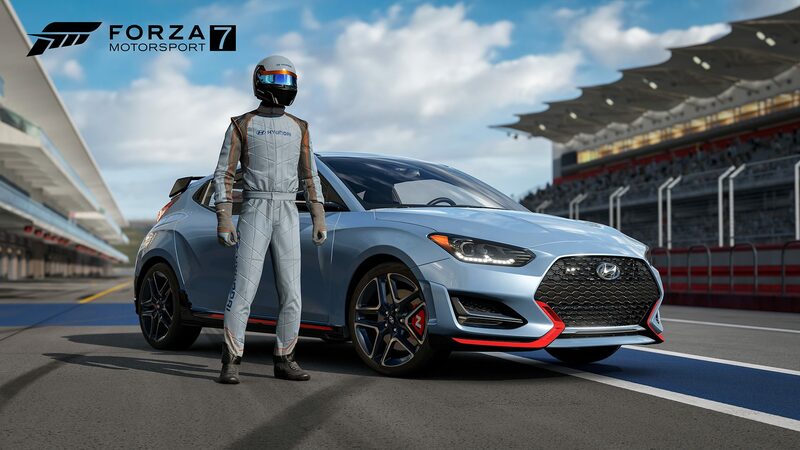 This article was published by Kyle Patrick (@SlipZtrEm) on March 5th, 2018 in the Forza Motorsport 7 category. I'm a USA citizen and Australian resident, do I still qualify to win the grand prize? I imagine as long as your XBL account points to a US address and you're willing to fly back to the States on your own dime if you do win, then yes. 05XR8 and matzel like this. I still can’t get that Hyundai race suit for my Xbox live avatar, I watched video and went to download race suit and says not available, I think it’s region locked i dunno. I also downloaded community calendar and signed up for event and did some hot laps around Watkins in the veloster drives alright too.